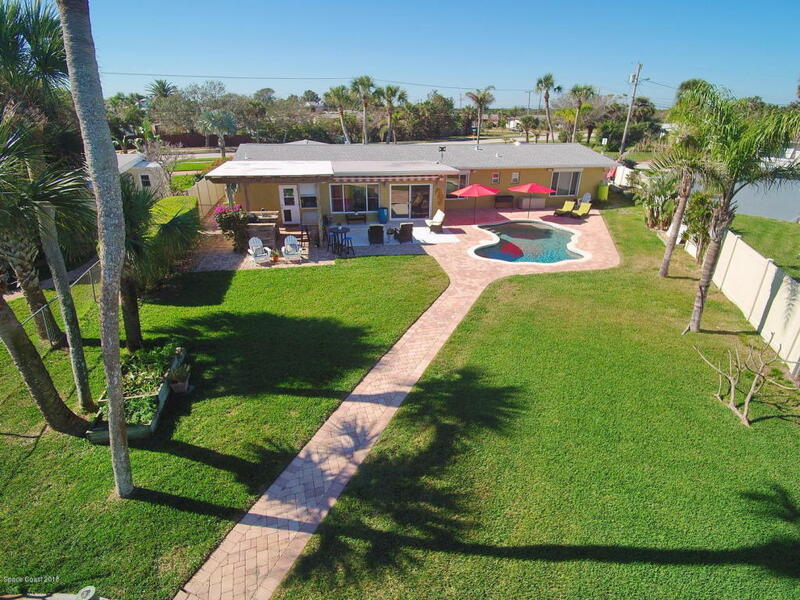 Live the Florida lifestyle at this completely updated oasis with all the amenities you could dream of! 4 bedroom, 3 bath pool home with outdoor kitchen, outdoor fire pit area by the water, dock and boat/jet ski lifts. Stroll or bike to town just a few blocks away for meals, shopping, entertainment and the beach then return home to your private retreat for family time or entertaining. Most updates have been within the last 3 years from the roof; pool with pavers; dock with smart wood; 6,000 pound boat lift; jet ski lift; gorgeous new kitchen, baths, and flooring in tasteful, neutral tones; new paint inside & out; electrical & plumbing updates plus impact or shuttered windows. Home sits far off road on a large corner lot, for extra solitude and has a turn around for easy ingress/egress.